This cardiovascular machine is suitable for people who would like to be provided with audio and visual feedback that will indicate the start and end of their workout. 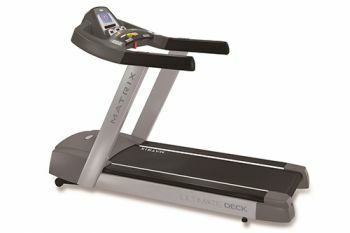 The treadmill has an emergency stop safety key, high visibility strips down the side of the running desk to provide contrast to the belt and a step to ensure easy access onto the treadmill. It is also equipped with easy to use console with high visibility tactile function buttons.